In what Pulitzer Prize–winning novelist Viet Thanh Nguyen calls "a book to break your heart and heal it," The Best We Could Do explores the anguish of immigration and the lasting effects that displacement has on a child. Thi Bui documents her family’s daring escape after the fall of South Vietnam in the 1970s and the difficulties they faced building new lives for themselves in America. The Best We Could Do is a haunting memoir about the search for a better future and a longing for a simpler past. As the child of a country and a war she can’t remember, Bui’s dreamlike artwork brings to life her journey to understanding her own identity in a way that only comics can. 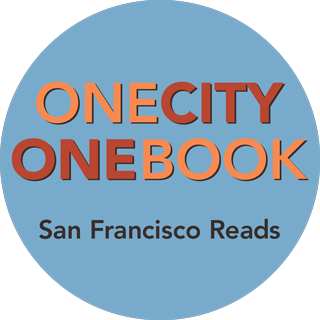 Copies of The Best We Could Do are featured in all San Francisco libraries and at bookstores around the city. Thi Bui was born in Vietnam three months before the end of the Vietnam War, and came to the United States in 1978 as part of the "boat people" wave of refugees from Southeast Asia. Her debut graphic memoir, The Best We Could Do (Abrams ComicArts, 2017) has been selected as UCLA's Common Book for 2017, a National Book Critics Circle finalist in autobiography, and an Eisner Award finalist in reality-based comics, and made several best of 2017 book lists, including Bill Gates' top five picks. She is also the Caldecott Honor-winning illustrator of A Different Pond , a picture book by the poet Bao Phi (Capstone, 2017). Her short comics can be found online at The Nib, PEN America, and BOOM California. She is currently researching and drawing a work of graphic nonfiction about how Asian American Pacific Islanders are impacted by detention and deportation, to be published by One World, Random House. Thi taught high school in New York City and was a founding teacher of Oakland International High School, the first public high school in California for recent immigrants and English learners. She is a faculty member of the MFA in Comics program at the California College of the Arts since 2015. She lives in the Bay Area.